Doctor Who's 50th anniversary show will be filmed in 3D. This is the first, and probably one of the more unsurprising announcements to be confirmed by the BBC, as, with the current popularity (apparently) of 3D films and with 3D being used more prominently in television, Doctor Who is the perfect platform to show what this technology can do on the small screen. Although most of us here at type40 news whinge and moan non-stop about the onslaught of 3D (they're putting it into our phones now... Why?! ), we have to admit that we are rather excited about the TARDIS flying into our living rooms and feeling truly involved in the landmark episode. "It's about time. 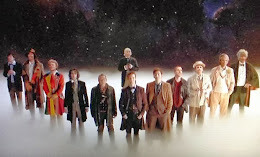 Technology has finally caught up with Doctor Who and your television is now bigger on the inside." Whether the use of 3D will add to the experience is yet to be seen but one thing's for sure, we hate those glasses! 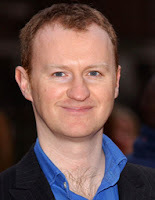 As we all know, Mark Gatiss is currently in the process of filming his Doctor Who 50th anniversary biopic and, with David Bradley recently announced to play the first Doctor, it was about time we found time who will be his successor. 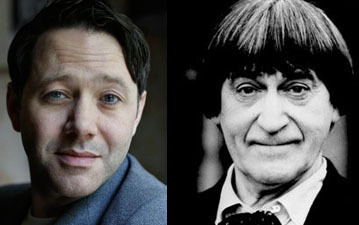 Reece Shearsmith, famously known for his work on the League of Gentlemen with Mark Gatiss has been cast as Patrick Troughton in the upcoming drama. "Like the second Doctor, he's small, saturnine and a comic genius. The complete package." Acting alongside Shearsmith and David Bradley are Brian Cox (BBC Head of Drama Sydney Newman), Jessica Raine (Doctor Who's first producer Verity Lambert), Jeff Rawle (Doctor Who's associate producer Mervyn Pinfield), Jemma Powell (actress Jacqueline Hill) and Claudia Grant (actress Carole Ann Ford). 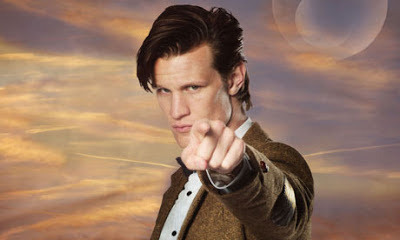 An Adventure In Space and Time is currently in production with Breaking Bad director Terry McDonough taking the reigns and will coincide with the 50th anniversary show. Although he's got his hands full with 50th anniversary biopic An Adventure In Space and Time, Mark Gatiss has also found the time to bring back a forgotten foe of the Doctor. First seen battling Patrick Troughton's second Doctor in 1967's 'The Ice Warriors', the reptilian Martians are making their return in the second half of season 7. "I thought they were maybe the default condition for what people thought of as rubbish Doctor Who monsters – they moved very, very slowly and spoke in a way that meant you couldn't understand a word they said." The Moff eventually came round to Gatiss' pitch insisting that the episode is "an absolute cracker." The Ice Warriors will make their first appearance since Doctor Who's 2005 revival in the third episode when the seventh series continues on March 30th.